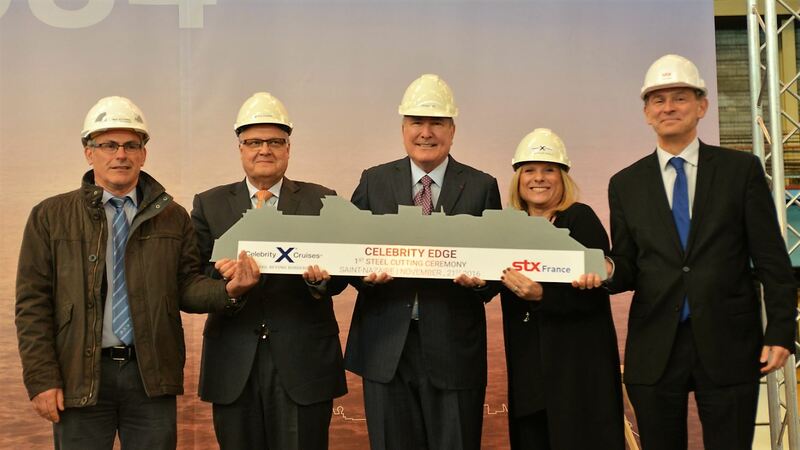 Today the next generation of cruise ships for luxury cruise line Celebrity Cruises moved from concept to construction, as the first piece of steel for Celebrity Edge was cut at the STX France shipyard. Celebrity Cruises, a brand subsidiary of Miami-based cruise company Royal Caribbean Cruises, today celebrated the official start of construction of its first new ship in the new Edge Class of luxury cruise ships. 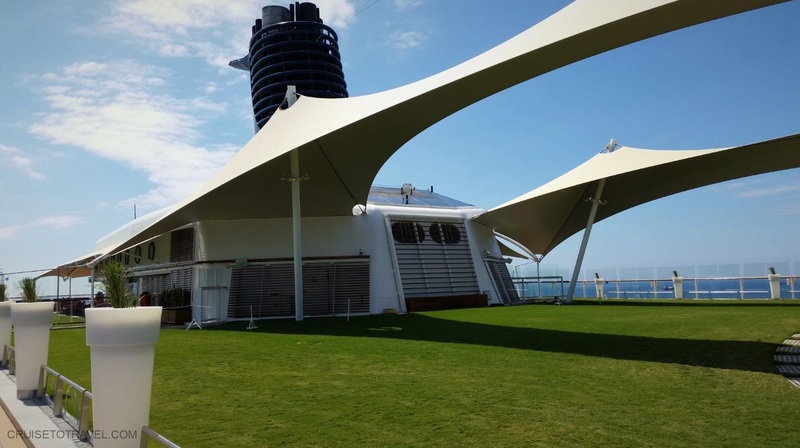 The ship will be called “Celebrity Edge,” befitting the many daring design advances and innovations of Celebrity’s first new ship class since 2008. The modern luxury cruise line is also announcing today the name of Edge’s sister ship, “Celebrity Beyond,” signaling the incredible experience guests can expect onboard Celebrity Edge and the entire Edge Class, changing the way travelers see the world. The two 117,000 gross ton cruise ships, featuring a length of 300 meters and a width of 38 meters, will be able to carry 2,900 guests in 1,450 staterooms. Celebrity Cruises expects delivery of Celebrity Edge in Fall 2018. Celebrity Beyond is scheduled for delivery in Spring 2020, the third and fourth Edge Class ships in Fall 2021 and Fall 2022, respectively. When do you expect to accept the first reservations for the inaugural cruise of the Edge and where will that cruise go?